With the spring semester in full swing this week, many college students have begun to ask themselves (or at least their parents have begun to ask them) that age old question: what am I going to do this summer? Or better yet, if they’re graduating in May, what am I going to do after graduation? Andy Ek, Manager of College Relations, Koch Industries, Inc.
Andy Ek, Manager of College Relations for Koch Industries, offers college students pertinent advice and direction related to searching for both full-time jobs and internships. What is the best advice you have to offer new college graduates about how to prepare for the job search process in January if they plan to graduate in May? Regardless of timing, I’d encourage all students to self-reflect on their best natural abilities and their specific career interests. What are they good at and what types of roles would they enjoy doing most? I think it’s important for each student to research firms that offer careers (not just employment) in their areas of interest. Students will benefit from networking as much as possible (with peers, faculty, employers, etc). The knowledge gained from building these relationships will lead students straight toward the opportunities with the most potential. If students want to work for Koch as a summer intern, when should they apply? Please describe the application process. The application process for our summer internship program starts at the beginning of the previous year’s fall semester. For example, most students interested in our summer 2016 intern opportunities applied in mid-September 2015 in order to be considered. All applications are available on our recruitment website, www.kochcollegerecruiting.com, and will require completion of an online profile, a short questionnaire related to the role’s qualifications, and submission of a resume. Students eventually hired for a position typically receive an on-campus or phone interview, before traveling to a site location for a second interview. Have you hired an intern who later became a star employee? Our goal in employing interns is to identify those individuals with the right mix of virtues and talents required to be successful within our firm. We are thankful to have had numerous examples of star employees hired through our college recruiting process, including eight who are current or past presidents of various Koch companies. Want to learn more about how to connect the dots along the path to job search success? Follow our blog and connect with College Recruiter on Facebook, Twitter, and LinkedIn. Andy Ek is the Manager of College Relations for Koch Industries, Inc. In this role, Andy is responsible for leading Koch’s college recruiting program, managing and developing Koch’s relationships with key universities, and partnering with Koch leadership to determine optimal entry-level talent strategies for their organizations. 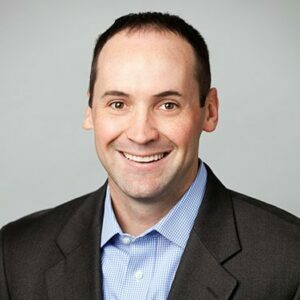 A native Kansan, Andy is a 2004 University of Kansas graduate with a degree in Business Administration and Accounting – he also earned a Master’s in Business Administration from KU in 2011. Andy was recognized as one of the Wichita Business Journal’s 40 under 40 honorees in 2015. Based in Wichita, Kansas, Koch Industries, Inc. is one of the largest private companies in America. With a presence in more than 60 countries, Koch companies employ more than 100,000 people worldwide, with about 60,000 of those in the United States.